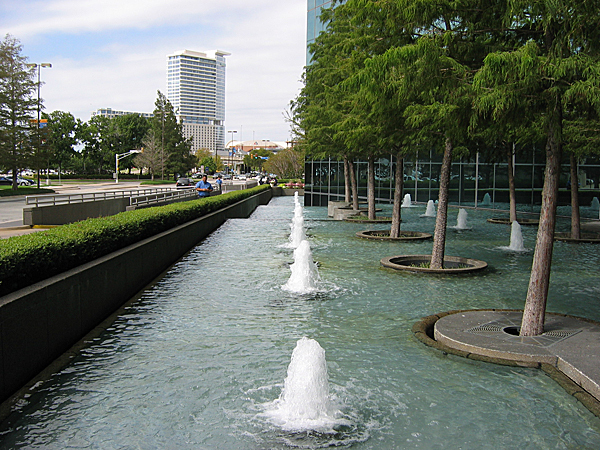 Located in the Arts District at the edge of the business district in downtown Dallas, Fountain Place, completed in 1986, is a 5.5-acre terraced plaza designed by landscape architect Dan Kiley with Peter Ker Walker and WET Design. 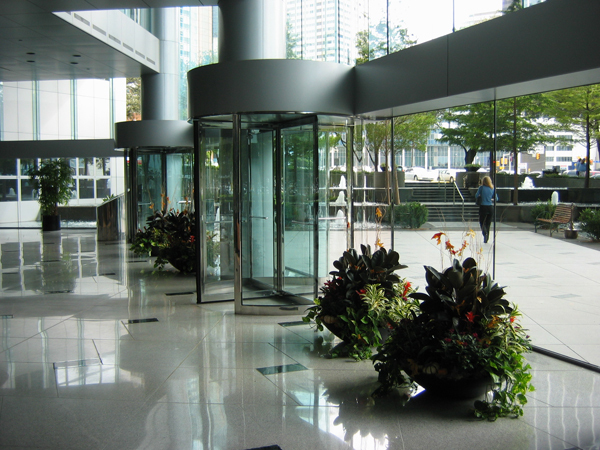 Originally known as Allied Plaza, the public space is located at the foot of the Fountain Place office development, a 60-story, geometrically skewed, glass tower, designed by I.M. Pei & Partners. 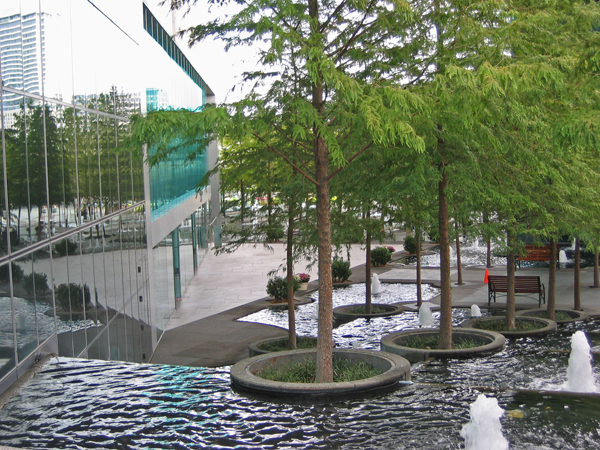 The plaza, designed as a distinct and refreshing meeting place in the city, was planted with bald cypress trees in circular granite planters laid out on a fifteen-foot grid and surrounded by terraced pools of water. 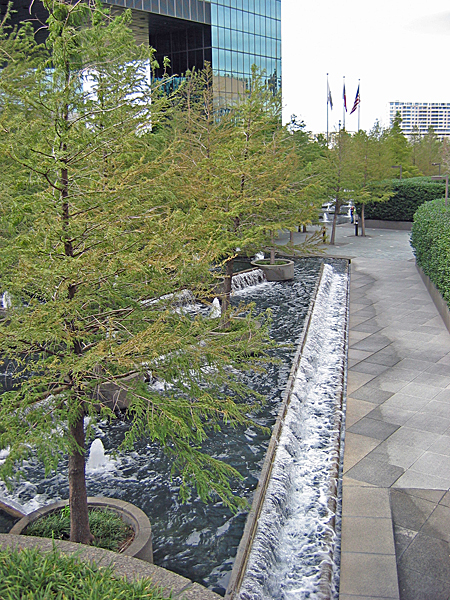 Steps ascend from the street level intersecting the water, which cascades between terraces in low waterfalls alongside the stairs and around the planters. 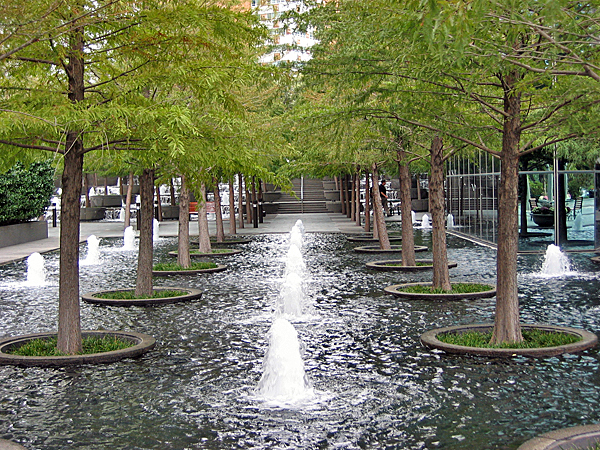 Low bubbler fountains are centered within each grouping of four trees. 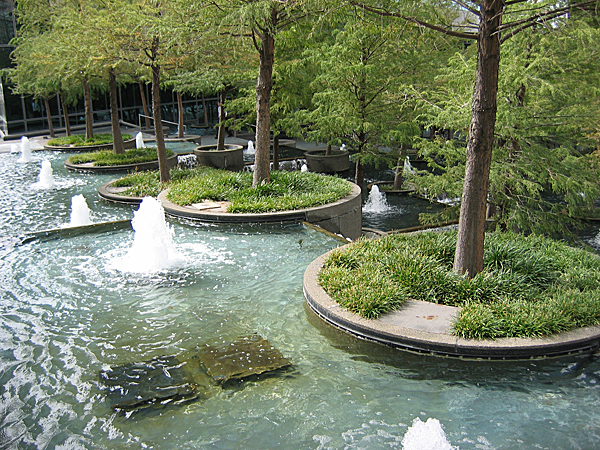 At the top of the stairs is a central courtyard, behind which sits another pool of water intersected by a grid of cypress, this one flat and entirely still, excepting the bubbler fountains. 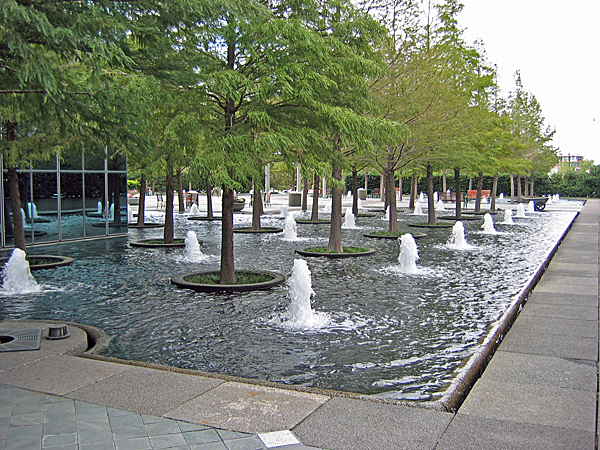 The courtyard space is interchangeable and serves as both an electronically orchestrated central fountain display, and as an area for large gatherings, when the fountain is turned off. At night, lighting animates the park.